The Shimano Nexus 8 makes for a truly reliable, low maintenance, and clean drivetrain. 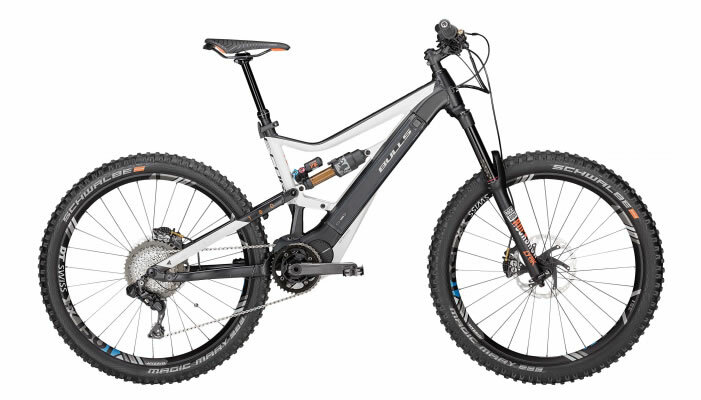 Built around a 7005 aluminum frameset, one of the main attractions is the powerful and silent Brose mid-drive unit. Although the battery is not immediately seen the 650 watt-hour, 36V, powerpack packs an impressive mount of power and range potential. The IPU EVO battery is semi-integrated into the frame and can be easily removed for your convenience. Fully equipped, the Lacuba features Shimano hydraulic disc brakes which provide smooth and even braking even in the most extreme conditions. Electronically synced, the rear light activates every time you press the brake lever making traffic aware of when you’re coming to a stop. 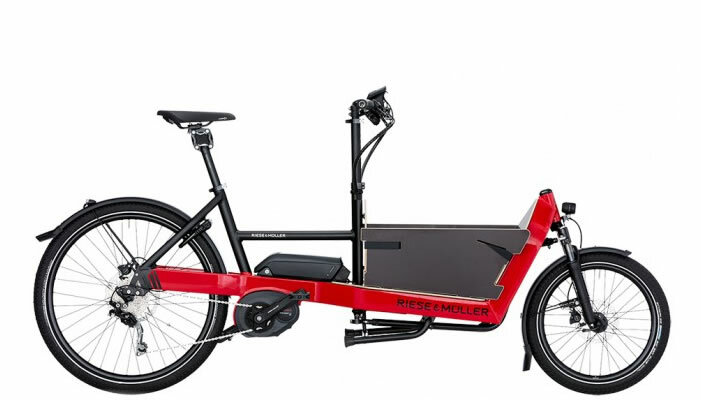 With a high capacity battery and an 8 speed drivetrain you can select a gear that extends the battery life to achieve further distances and conquer those steep hills you would usually try to avoid. 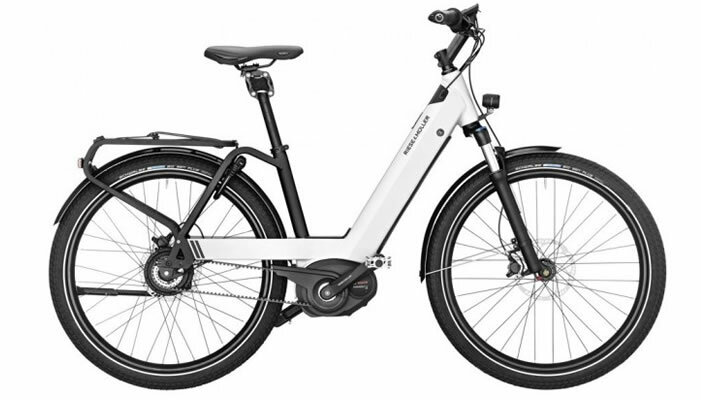 In optimal riding conditions you can reach up to 120 miles on a full charge. 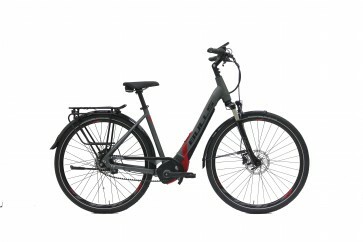 Other accessories such as a rear rack, integrated air pump, front and rear light set, and fenders make this bike a true bang for your buck. The Lacuba Evo E8 comes in three different styles in order to have the best fit for everyone. 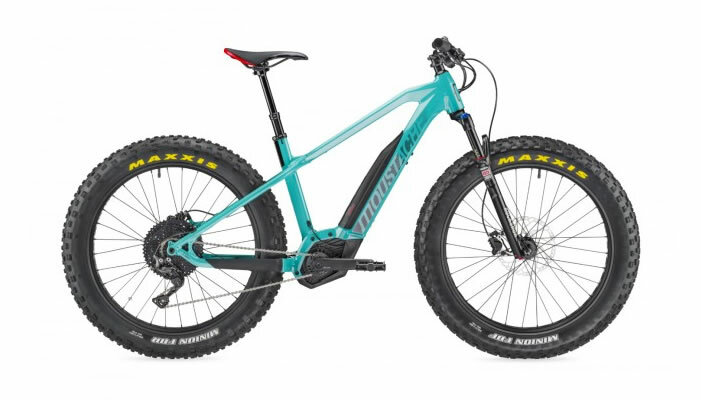 The standard frame has a regular top tube, the Step-Thru model has a very low entry, and the Wave model which has the lowest stand over clearance. Note the review below is for the Lacuba Evo E8 with the Gates Carbon Belt, whereas this model has a chain instead of the belt.